Welcome to the big reveal. If you missed part one and part two of this series, I invite you to read those blogs first before jumping into this one. You’ll learn so much more as you follow the process I approach, and watch how the ancient tenants of Feng Shui reveal the best use of the space. We started with a blank canvas, laid the bagua on top of the floor plan and began to build out the space with Feng Shui principles. Magic happened! I placed the desk in the Family and Wealth guas so that Michelle would have a financial foundation in her career as a mind/body/energy practitioner. The Wealth gua is ruled by the Wood energy so she purchased a wood desk that fit perfectly in the small space, which supports her financial growth and stability in her new business. She’ll be setting appointments, writing newsletters and correspondences to her clients, and even starting on a new book. It’s best to have your back against a solid wall, but if you can’t, hang a crystal in the window. This will create a wall of intentional light energy to keep you well supported as if a wall were there. Michelle also covered the ugly window and the okay view, by placing this lovely tree image there. Wood is excellent in Wealth and Family, and the sun shines right through the painting, lighting it up. How delightful! I added the couch in the Fame and Relationship guas, to help her clients see their future clearly (the eyes are ruled by the Fame gua). When you can see which way to go, you can actually move forward in the vision of your best life. Fire is a great element in both Fame and Relationship (fire creates earth), so Michelle picked this dynamic purple couch, a royal fiery color. We nixed the coffee table because the room is just so narrow, and Michelle often works with her clients standing up doing muscle testing to release blocks from the body. Above the couch you’ll see artwork that has both the earth and wood elements present. Grass, trees and flowers are all of the wood element, feeding the fire of Fame. The mountain in the distance is a powerful symbol of the earth element representing the Relationship gua. You might think the mountain/earth energy would put out the fire of Fame, but there is so much fire energy in the couch, I feel we are well balanced here in the elements. I also like that the artwork has depth. Both Michelle and her clients will be supported in looking into the depths of the stillness of the mountain and will find inspiration from within. Michelle purchased these two nesting tables for the relationship gua because “pairs of things” enhance the partnership energy in this gua. You’ll also see two love birds facing each other – a whimsical cure that is well placed, along with books she placed here based on their content. When every small detail is intentional you create a sacred space of delicious energy. A bookshelf with inspirational messages and a lovely orchid ended up in family/knowledge, along with the lovely chair. When Michelle works with her clients she will slide it in across from the couch for more intimate one-on-one coaching. She has often said she doesn’t really move the chair that much as there is room to get around it easily to her desk. Above the bookshelf are images of stones and sand, two great earth energies to enhance the earth energy in the Knowledge gua. All of her resources in one place, easily accessible, and well illuminated so her knowledge doesn’t get stuck in a box. Notice the mirror on the left wall, near the bookshelf. This will push out the energy of the small nook so she will always continue to expand in her knowledge and skills. I had suggested ahuge mirrorfor the Children and Helpful People guas, to bring in the metal energy represented here, as well as to create an extra window in the small space. But Michelle often works with her clients standing up and she kept catching herself in the mirror, which distracted her from the focus on her clients. Instead she hung this round(the shape for the children and helpful people gua)mirror (the element for this gua). It’s a convex mirror, the shape that will reflect the whole scope of the room. While the mirror may not reflect the window as much, it does create a vortex of energy in this area, enhancing the children and helpful people guas. Empowering Michelle to bring in creative ways of being a supportive person in the world. How Michelle implemented the cures is the delicious Art Form of this practice. Here is a fabulous expression of a necessary cure for the poison arrow that was facing Michelle’s desk. Uncured, I would have received a call from Michelle saying she never sat at her desk, she just didn’t feel comfortable there. A poison arrow can disrupt your work, your sleeping, your ability to even enter your home and feel like you can relax. Check your environment for those pesky poison arrows and cure them. It was a delight to work with Michelle on her office and her home. We celebrated this new space and I look forward to cheering on her successes. It all came together so magically, with every piece intentionally placed to create the best life and most vibrant business possible. And, did you know, our whole session was completed over SKYPE, long distance! So it doesn’t matter where you are and where I am, in Alaska or Africa, the process and the shifting of energy is powerful and potent!! 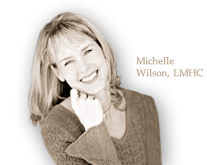 When I first met Nicolette at a women’s retreat, I was impressed with her incredible knowledge of Feng Shui. I knew some basics about Feng Shui, but she shared things I had never heard of before and they made so much sense! When I had the opportunity to move into a new office space I knew I needed to consult with Nicolette. She pointed out the benefits of the space and had specific suggestions for every part of the bagua to enhance the positive energy in the room. Everything in the office was chosen purposefully! The office looks very different from how I would have designed it myself, and it is still “all me” since I choose all the items. I visited multiple websites, searching for the best office furniture this included Office Monster who were a budget website who’s products looked high quality! I can be a perfectionist and admit there were times I felt anxious and overwhelmed about designing the whole office from scratch, but Nicolette’s guidance was totally reassuring. That includes when she told me to have browns and beiges in the rug (not my favorite! ), to be grounding and calming and offset the fire energy of the purple couch. It feels right, now, and I do feel grounded when working with my clients. I love what I do and I love that the space supports my work! My clients (leaders and entrepreneurs) who have worked with me in my office tell me that they love the space, they feel grounded and inspired, and then they create miracles in their personal and professional lives! Nicolette also offers Feng Shui Parties in the home. I was delighted and booked her right away for an event. My guests all brought their own floor plan and applied everything to their own home as Nicolette taught us about the Bagua. She was so generous with her expertise as she gave feedback and ideas to the attendees. I spoke with one of my friends recently who implemented Nicolette’s suggestions for her home and she said her relationship is thriving and she got a promotion! Coincidence? What do you think? I have also doubled my income since moving into my completed, beautiful office space! Thank you Nicolette! I couldn’t have done it without you – you are amazing and it was a joy and pleasure to work with you!